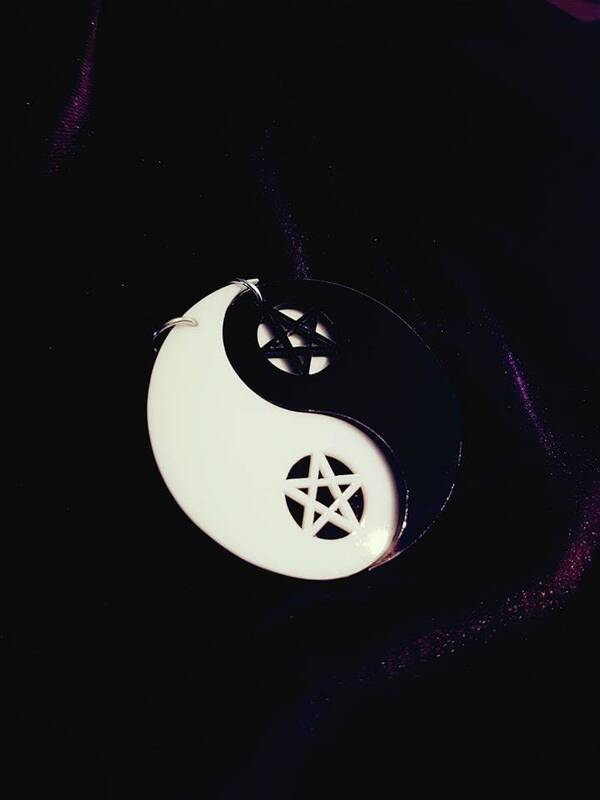 Beautiful Earstuds representing balance, from duality to oneness. 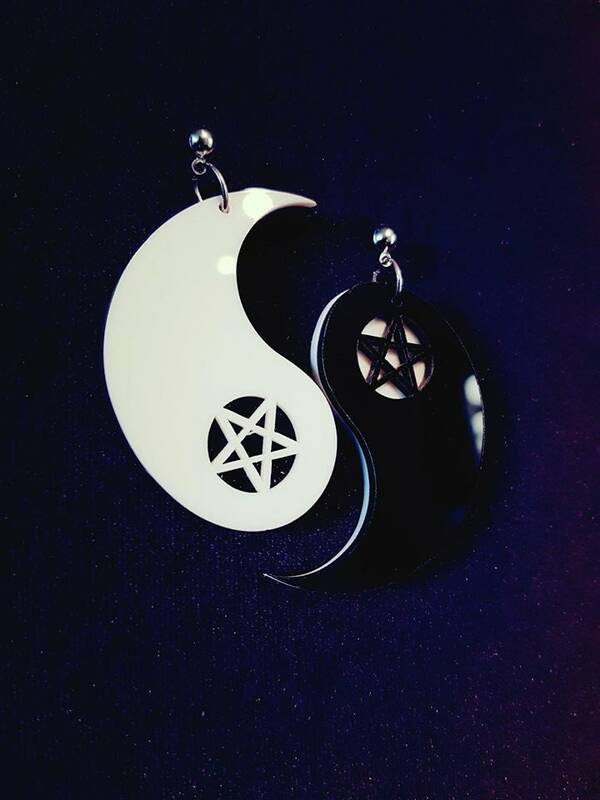 There is no good or evil, black or white, there is only one. 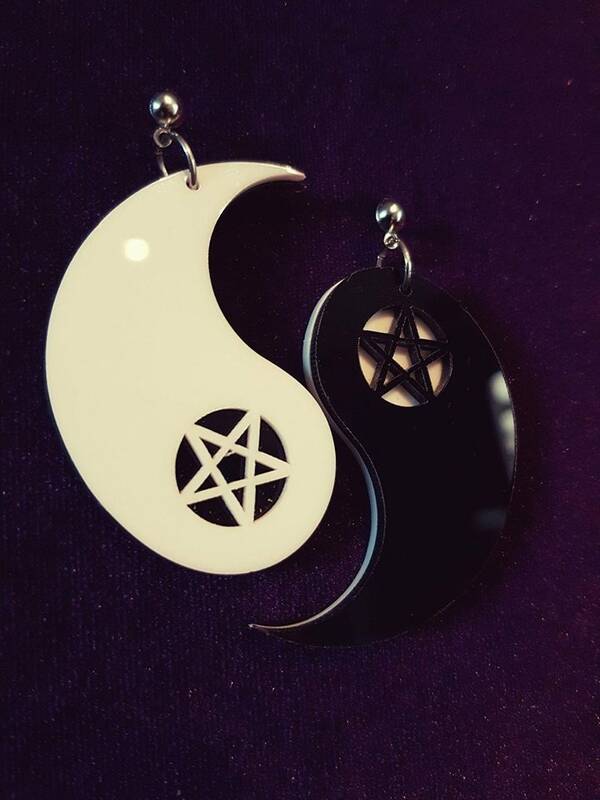 - Diameter of the two halves together is 5cm. 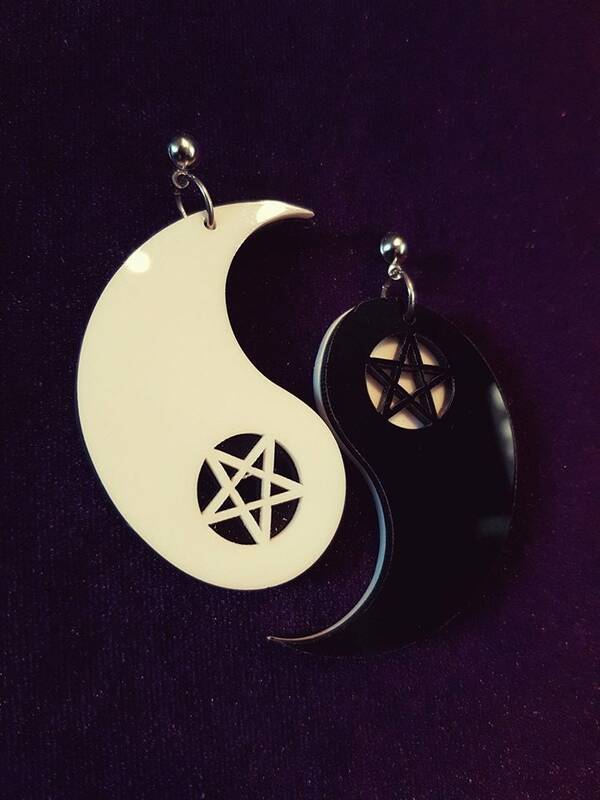 - White half (yang) with an inverted pentagram. 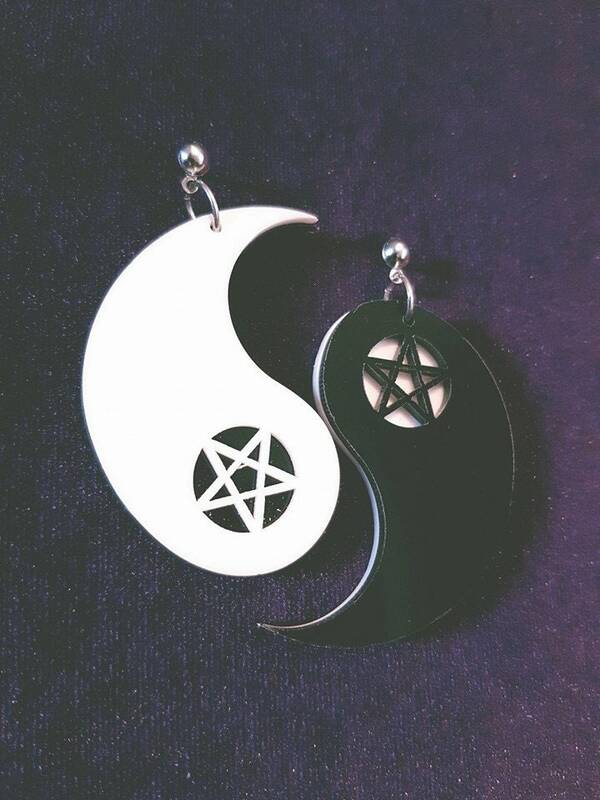 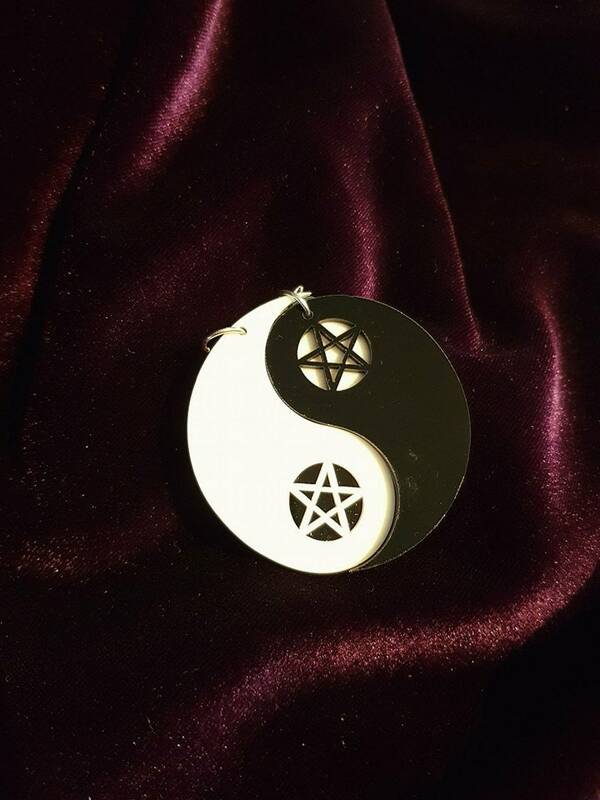 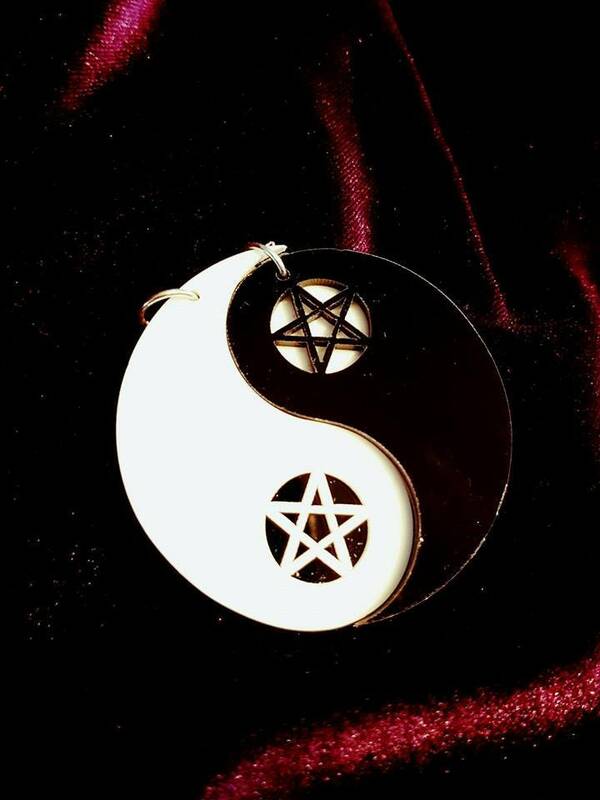 - Black half (yin) with a normal pentagram.